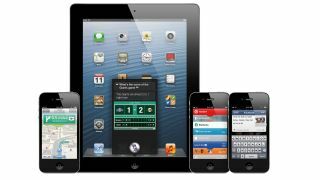 Less than a month ago, Apple released the iOS 6.1 beta to developers complete with early access to new features for Maps and Siri. This next version of iOS 6 included new tools for the Map Kit framework, which would allow programmers to "search for map-based addresses and points of interest." The iOS 6.1 beta also brought with it some improved functionality for Siri, and reportedly allows for users to purchase movie tickets by simply telling their iPhone 5s what movie they want to see. Keeping up a pretty frantic pace, Apple has now a third version of the beta has been released, and along with the aforementioned attributes, iOS 6.1 may add improved iCloud security. According to AppleInsider sources, iCloud users will have to answer security questions when an applicable device is first booted. There was no indication just what these security questions entailed, just that there is likely another level of protection enabled to prevent any foul play. The beta build, known as "10B5117b," is currently compatible with the iPhone 5, as well as the iPhone 4S, iPhone 4 and iPhone 3GS. The iPad 4 (and its two predecessors), iPad mini and iPod touch will also work with iOS 6.1, and users of all said devices should find good use of the impending improvements. iOS 6.1 is believed to be on track for early 2013, though until Apple divulges an exact date, we'll continue to track the beta updates to learn what's coming in the next version.